Bogs, marshy ground, moist sandy to mucky shores and interdunal hollows. 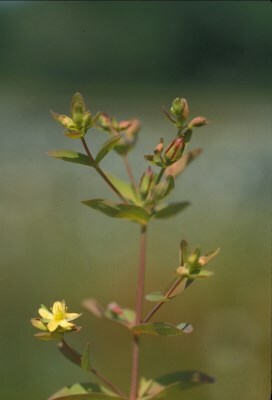 The broadly elliptic-rounded, nearly clasping leaves of this species may suggest a small version of Triadenum. Submersed stems may exhibit long internodes and small 3-nerved (but not punctate) rounded leaves [f. callitrichoides Fassett]; identification can usually be confirmed by association with fertile plants on an adjacent shore. MICHIGAN FLORA ONLINE. A. A. Reznicek, E. G. Voss, & B. S. Walters. February 2011. University of Michigan. Web. 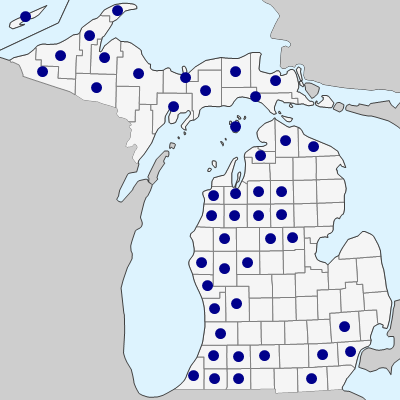 April 21, 2019. https://michiganflora.net/species.aspx?id=1458.